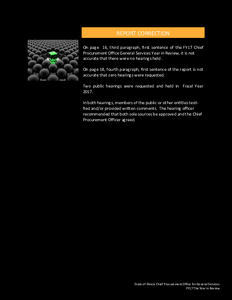 Description: For the reasons that follow, we find that the appellate court answered the question incorrectly. Accordingly, we reverse the judgment of the appellate court and remand this cause to the circuit court for further proceedings consistent with this opinion. 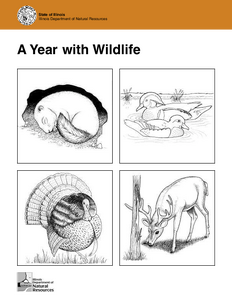 Description: Publications designed for use by children on their own or with the assistance of teacher or parents. 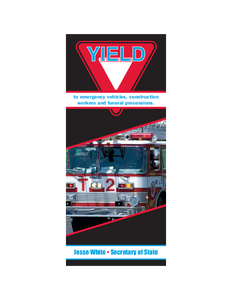 Description: Summary of driving laws concerning emergency vehicles, construction zones and funeral processions. 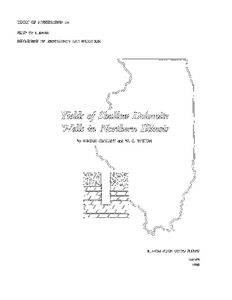 Description: In northern Illinois large quantities of ground water are withdrawn from wells in shallow dolomite aquifers of Silurian and Ordovician age. The Niagaran and Alexandrian Series of Silurian age and the Galena-Platteville Dolomite of Ordovician age yield moderate to large quantities of ground water. Dolomite beds of the Maquoketa Formation of Ordovician age yield small quantities of water to wells. 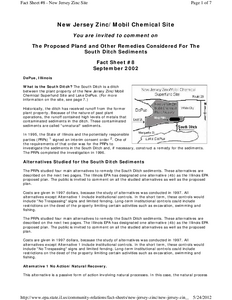 Silurian rocks are usually encountered at depths of between 10 and 300 feet in northeastern Illinois and between 30 and 880 feet in northwestern Illinois. These rocks exceed 450 feet in thickness at places and are often overlain by glacial drift. The average depth of shallow doIomite weIIs is about 140 feet, and most wells of recent design are finished 12 to 16 inches in diameter. About 1000 well-production tests were made, 1921-1961, on more than 800 shallow dolomite wells. 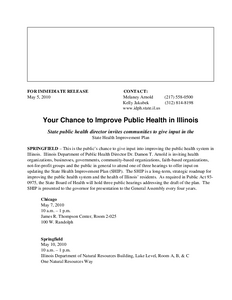 Statistical analysis of specific-capacity data provided a basis for determining 1) the role of individual shallow dolomite aquifers or formations, uncased in wells, as contributors of water; 2) whether or not significant relationships exist between the yields of wells and geohydrologic controls; and 3) the effects of acid treatment on the productivities of wells. It is concluded that the Niagaran Series, Alexandrian Series, and Galena-Platteville Dolomite all have similar moderate to high yields and inconsistency of yields in areas throughout northern Illinois where these rocks directly underlie glacial drift. These Silurian and Ordovician rocks have similar low yields and inconsistency of yields in areas where these rocks are overlain by bedrock. On the other hand, the Maquoketa Formation and rocks of Devonian age yield very little water to wells. Most water-yielding openings occur in the upper one-third of the shallow dolomite aquifers. There is a good connection between glacial drift and the upper part of the shallow dolomite aquifers. Highest yielding wells are found in bedrock upland areas, in areas where the glacial drift immediately overlying the shallow dolomite aquifers is composed of sand and gravel, and in areas where reefs and associated strata are present. Most dolomite wells treated with acid show significant improvement in yield; largest improvements are recorded for rehabilitated wells. Yields are increased because water-yielding openings are enlarged and fine drill cuttings or incrustations are removed from openings. Probable ranges in yields of shallow dolomite wells in undeveloped areas are estimated from specific-capacity frequency graphs, aquifer thickness and area1 geology maps, and waterlevel data. 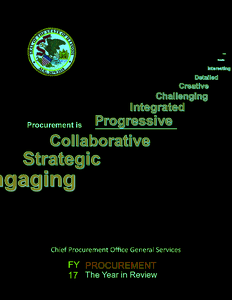 Description: Fourth Division, March 6, 2008 Nos. 1-04-3214 and 1-04-3230 Consolidated JERELYN YODER, Individually, and JERELYN YODER, as Special Administrator of the Estate of Teagan L. Yoder, Deceased, and JERELYN YODER, as Mother and Next Friend of ZACHARY S. YODER, a Minor, Plaintiffs-Appellees, v. JAMES N. FERGUSON, ROMAR TRANSPORTATION SYSTEMS, INC., RO-MAR TRANSPORTATION SYSTEMS, INC., THOMAS I. ALEXANDER, JR., and SINGLE SOURCE TRANSPORTATION COMPANY, Defendants-Appellants and Third-Party Plaintiffs-Appellants; MARY BETH MARSHALL and SCOTT YODER, Defendants and Third Party Defendants-Appellees, (Ruan Leasing Company, Roy John Adler, Berg Grain and Produce, Inc., Rolling Plains, Inc., David Knoll, Kee Transport, Inc., The Midland Grocery Company, Roundys Inc., Lawrence R. Heaney, and Robert J. Parks, Defendants; Joseph Rezetko, Defendant and Third-Party Defendant). 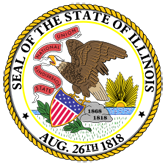 Appeal from the Circuit Court of Cook County, Illinois No. 02 L 3002 02 L 3003 02 L 3004 02 L 3005 Honorable Daniel M. Locallo, Judge Presiding. Description: No. 2--06--0359 Filed: 7-26-07 IN THE APPELLATE COURT OF ILLINOIS SECOND DISTRICT YORK CENTER FIRE PROTECTION DISTRICT, Plaintiff-Appellant, v. KUBIESA, SPIROFF, GOSSELAR AND ACKER, P.C., and JOHN FENNELL, Defendants-Appellees. Appeal from the Circuit Court of Du Page County. No. 04--L--816 Honorable John T. Elsner, Judge, Presiding. Yorkville Glen Palmer Dam Alternative Analysis and Preliminary Design, Final Report. 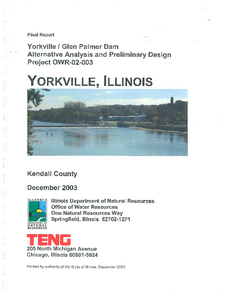 Description: A final report developed as part of Yorkville Dam modifications. Description: Historically, the ditch has received runoff from the former plant property. Because of the nature of past plant operations, the runoff contained high levels of metals that contaminated sediments in the ditch. These contaminated sediments are called "unnatural" sediments. Description: Informational brochure detailing minimum penalties for DUI arrests as well as average cost of a DUI conviction in Illinois. 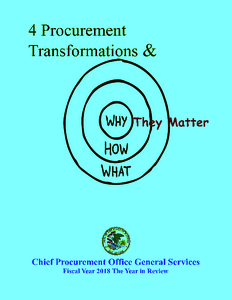 Description: Protecting, advocating and promoting the rights of residents in Long-term Care Facilities. 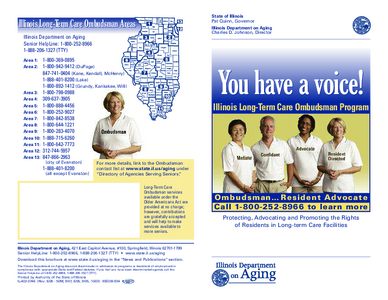 Description: This publication explains how the Illinois Long-Term Care Program works with nursing home residents, families, community groups and nursing home staff to resolve problems and ensure quality of life for all people in long-term care facilities. 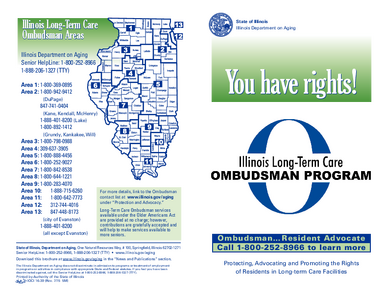 Description: This publication is a poster that is required to be posted in nursing facilities about long term-care residents' rights. 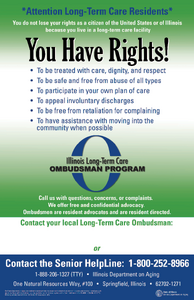 It provides information on residents' rights and a number to call for assistance if needed. 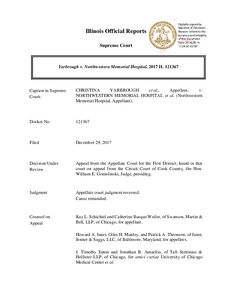 Description: Press Release: In partnership with local groups throughout the state, the Illinois Liquor Control Commission (ILCC) is kicking off its 7th annual spring educational effort tomorrow. 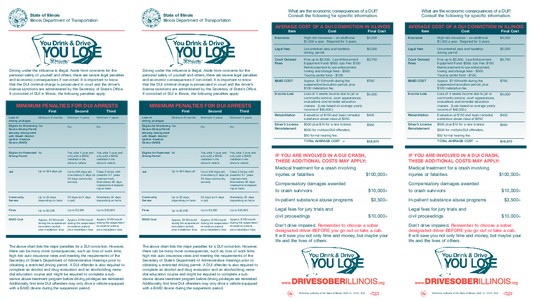 Entitled YOUR ACTIONS MATTER!, this underage drinking prevention program is designed to remind adults that preventing underage drinking is EVERYONES responsibility. Description: An overview of the functions of the State Board of Elections.